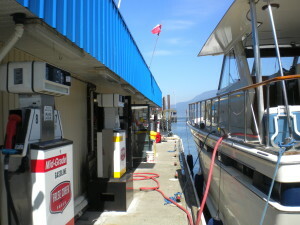 Our fuel dock has friendly and helpful staff on hand to assist you with your lines on arrival/departure. Enjoy our ultra clean/new restroom. Browse our newly renovated floating store for fishing tackle or boating gear!